Just call your three wish prints during checkout. You can also send me the links of the posters. 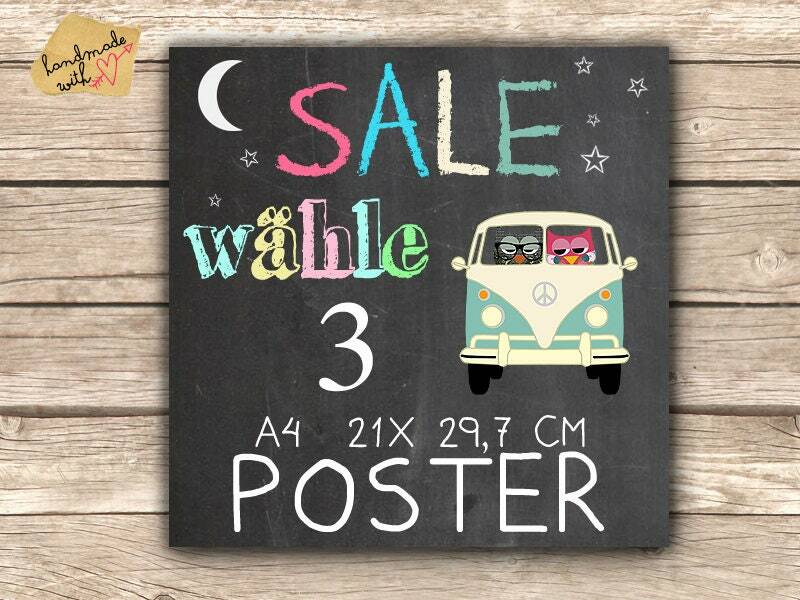 All A3 Posters can also be printed in A4 format! The illustrations have DIN A4 size and are slightly shiny, printed on stable, qualitiativ high-quality paper with high resolution. I made a collage poster print which I created digitally and printed onto glossy waterproof heavyweight paper.